In this section you can find all the information needed to create your pages, your blog posts and your portfolio items. Simple pages are usually referred in WordPress as static contents. That means that the information displayed on a page doesn’t change, or doesn’t change often. A great example of a page would be the About or Contact Us section of a website. 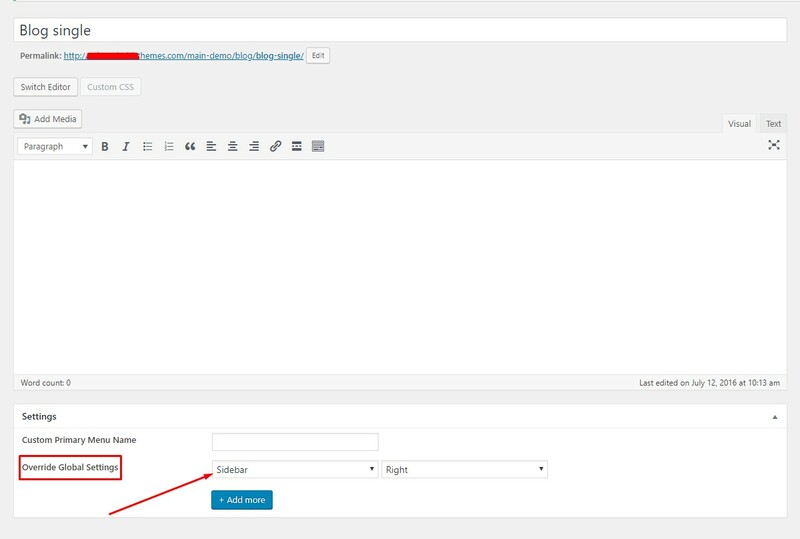 Navigate to Pages in your wp-admin sidebar and click Add New option. Set page settings and add Override Global Settings if needed. When you create a page you will see Switch Editor button. If you do see classic WordPress’ HTML editor, please click Switch Editor button to get Bold Page Builder or Rapid Composer editor. Once you do that, you will see box with big ‘+’ button. Click on it to add a section which is basic content element in Kids Club theme. See in action Drag&Drop feature and quick preview from backend or edit function from frontend an the following video tutorial. 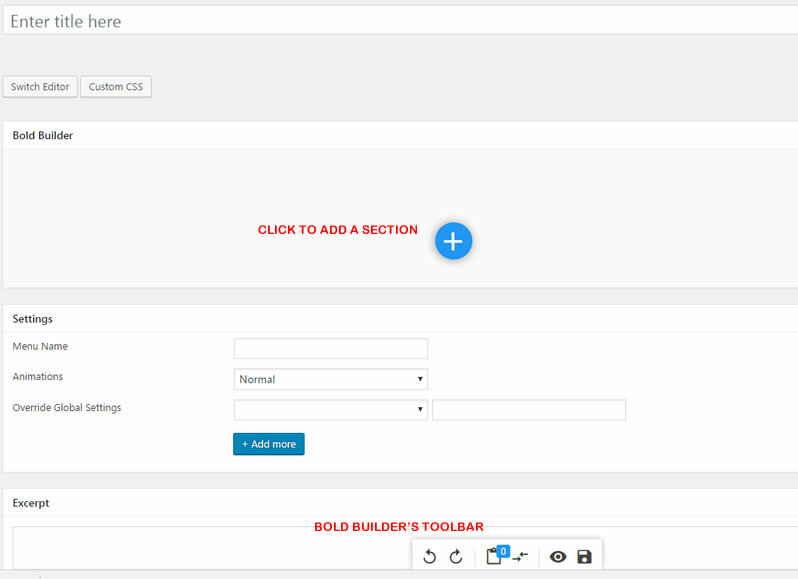 Save – the same as Update button on the Page Edit Form – updates the layout of the page by saving the changes not essential for content creation so we will skip them (you can learn more about Bold Builder if you take a look at documentation which comes with it). Next, place your mouse pointer over top area to show toolbar. Click ‘+’ to add a Row which is another basic content element. Now click ‘+’ in Row toolbar to add columns. From Select Layout dialog you need to pick wanted layout of columns, e.g. 1/2+1/2 will add two columns with same width. Note that Row element is based on Bootstrap’s 12 column grid, meaning you can have 1,2,3,4,6, and 12 columns in a row. Once you select the number of columns, you can set their width as well. For example, the following row has two columns where left column is 3/4, and right one is 1/4. 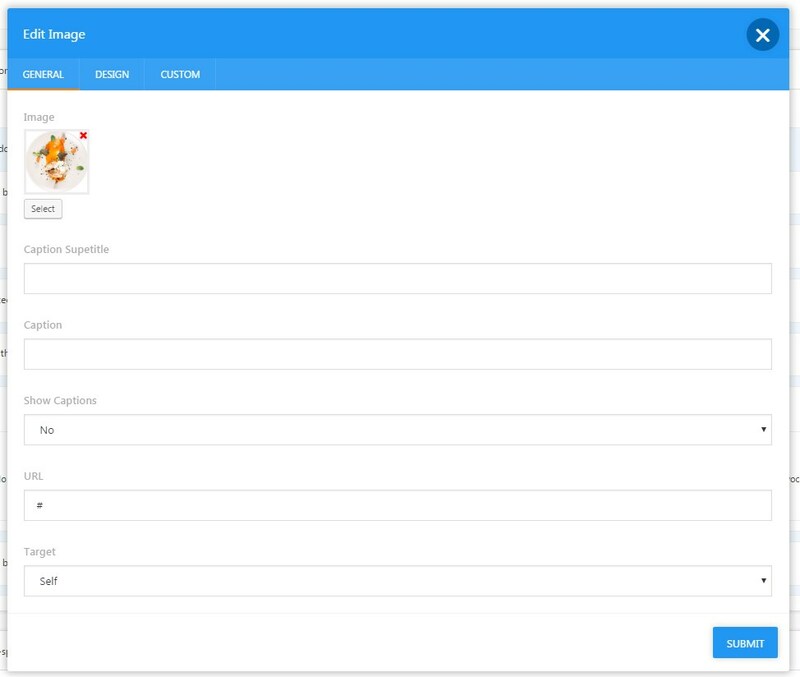 You can rearrange elements using drag and drop, clone and clipboard commands. 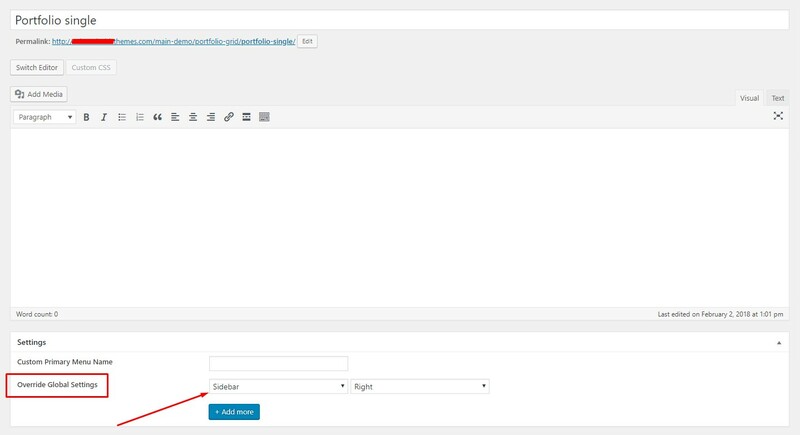 To edit content element properties, click Edit icon from element toolbar. All sections, rows, columns or elements can be copied and pasted on pages. To use custom menu on a page, just enter menu name in Menu Name input box. The best (and fastest) way to learn more about content creation and individual shortcodes (content elements) is to import demo and explore demo content. 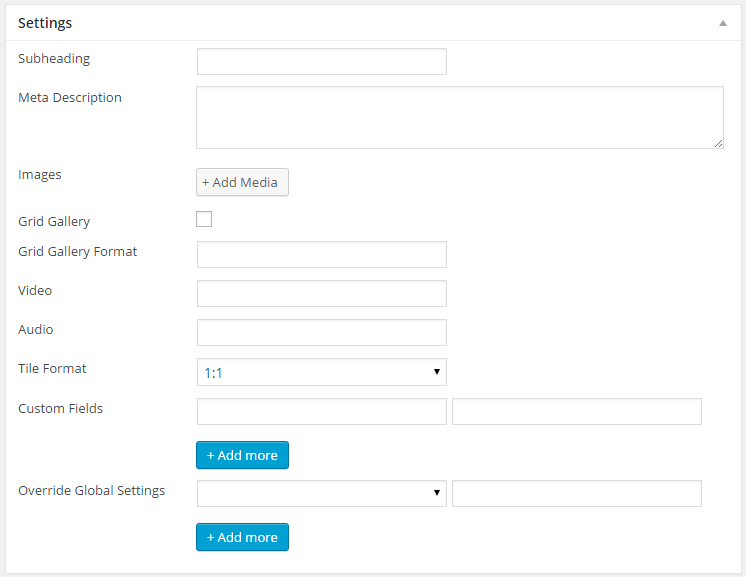 As mentioned in section 3 – Theme customization, all global settings can be overridden on any single post or page. In Settings box, you will find Override Global Settings dropdown which allows you to choose which setting you want to override. To override menu, just enter menu name in Menu Name field. The possible values for the settings can be found in section 3, in angle brackets next to the setting name. If you want to reset a setting to default value, just enter ‘null’ (without quotes). Click ‘+’ button to add new override and ‘-’ button to remove previously entered override. 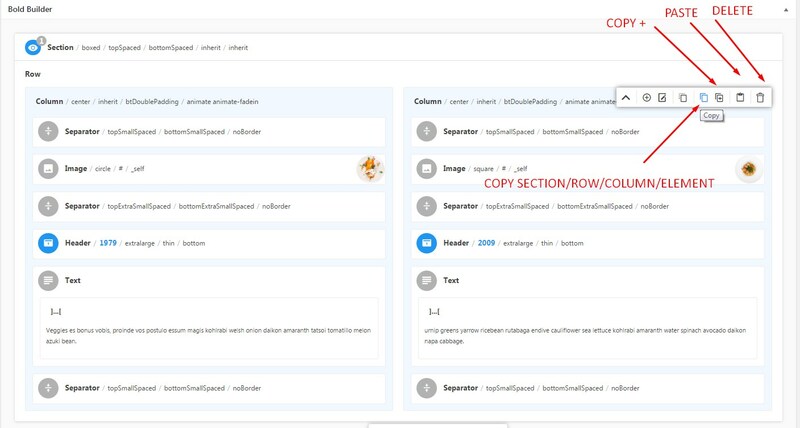 In order to edit / remove excerpt text, navigate to the Page editor, and in Screen Options (at the top of the dashboard) enable Excerpt field. After that, scroll to the bottom of the page editor where you’ll find Excerpt text. The Header background image represents featured image added to the page. In order to replace existing image with your own, click on the image, and when redirected, select image from Media Library. In order to entirely remove the image, click on ‘Remove featured image’ button. See in action this feature in the following video tutorial. Enter post description here. This will be used in description meta tags. Click Select or Upload Images to create gallery or add just a single image. Check Grid Gallery to create grid gallery, otherwise gallery is displayed within a slider. 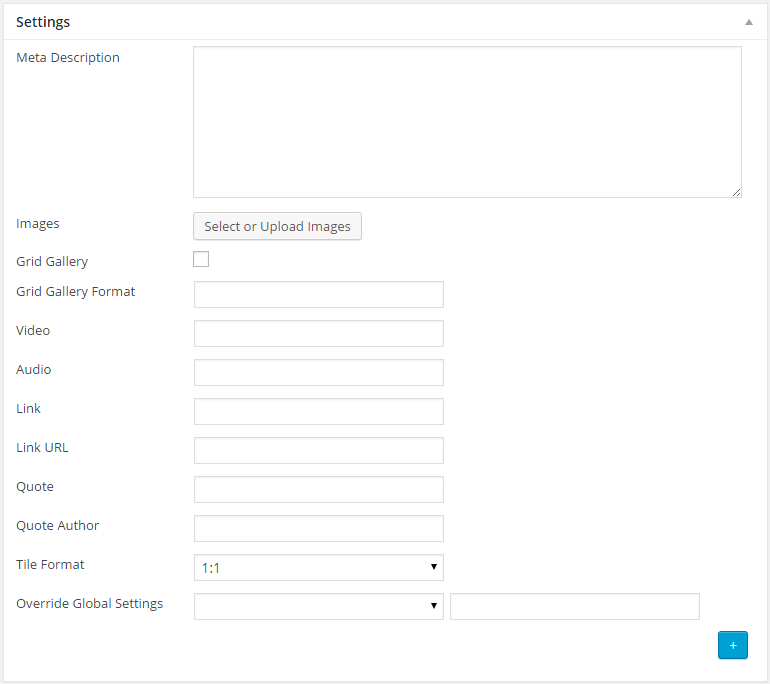 Do not forget to upload the images you want to display as gallery and check Gallery Format in the Format box. Enter format of images as comma separated values, e.g. 21,22,11,12 means first image has 2:1 aspect ratio, second 2:2, third 1:1, etc. In order to add Video post, enter Vimeo video URL, YouTube video URL or custom video shortcode in the Video field. Do not forget to check Video format in the Format box. If you want to create the Audio post, Audio field is where you enter audio shortcode or SoundCloud iframe embed code. Do not forget to check Audio format in the Format box. In order to create Link Post, enter link title in Link field and link URL in Link URL field. Do not forget to check Link format in the Format box. To create quote post enter data in Quote and Quote Author fields. Do not forget to check Quote format in the Format box. This format will be used in Grid content element for image which represents current post (featured image). As with pages, here you can override global settings. In this section you will find the most common questions regarding the editing of single blog posts. How to edit / remove Excerpt text? How to change / remove Header background image? How to add / remove sidebar from single posts? How to entirely remove Header from single posts? If the single posts appear as they are not formatted, and are overlapping the menu, that probably means that their template page is not set correctly. 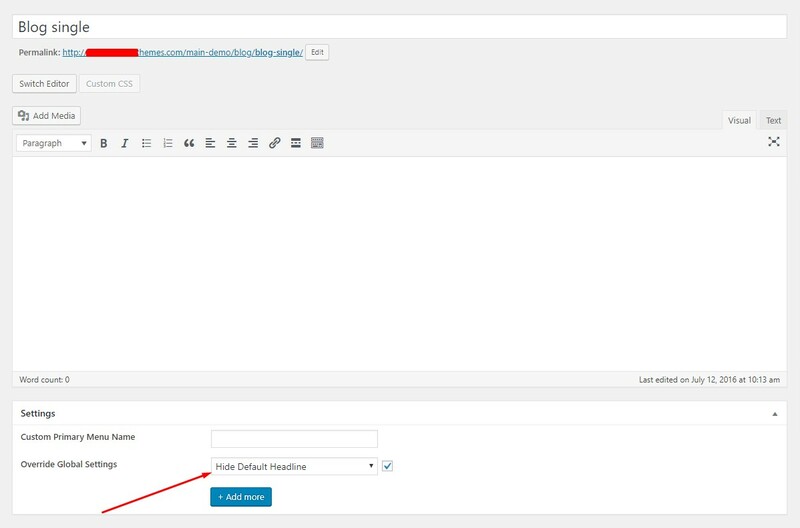 In order to fix this, make sure that the template page (Blog single) is published, and its slug is added to Settings page slug field in Appearance >Customize >Blog panel. 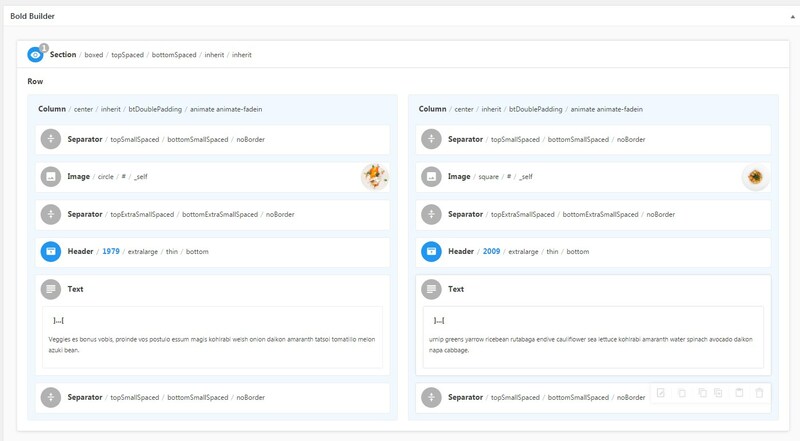 In order to edit / remove excerpt text, navigate to the Post editor, and in Screen Options (at the top of the dashboard) enable Excerpt field. The Header background image on single posts represents featured image added to the posts or their template page (Blog single). In order to replace existing image with your own, click on the image, and when redirected, select image from Media Library. *Please note that once the featured image is added to the single posts’ template page, it will override the featured image added to the post. In order to add sidebar to single posts, navigate to their template page (Blog single), and in Override Global Settings panel, select ‘Sidebar’ setting, and select its position (left / right). To remove sidebar, select ‘No Sidebar’. *Note that sidebar can also be displayed on selected products, by adding it to the product’s Override Global Settings. Check Grid Gallery to create grid gallery, otherwise gallery is displayed within a slider. Do not forget to upload the images you want to display as gallery. In order to add Video post, enter Vimeo video URL, YouTube video URL or custom video shortcode in the Video field. If you want to create the Audio post, Audio field is where you enter audio shortcode or SoundCloud iframe embed code. Enter any number of key/value pairs, e.g. Year/2015, etc. In this section you will find the most common questions regarding the editing of single portfolio posts. If the portfolio posts appear as they are not formatted, and are overlapping the menu, that probably means that their template page is not set correctly. In order to fix this, make sure that the template page (Portfolio single) is published, and its slug is added to Settings page slug field in Appearance >Customize >Portfolio panel. The Header background image on portfolio posts represents featured image added to the posts or their template page (Portfolio single). In order to replace existing image with your own, click on the image, and when redirected, select image from Media Library. *Please note that once the featured image is added to the single portfolio posts’ template page, it will override the featured image added to the post. In order to add sidebar to portfolio posts, navigate to their template page (Portfolio single), and in Override Global Settings panel, select ‘Sidebar’ setting, and select its position (left / right).